Why Does Google Like Virtual Tours? They Raise Your Search Engine Results. Here’s Is How It Happens. The average online attention span is less than eight seconds. A high bounce rate (people leaving your site after viewing a single page) will hurt your SERP (Search Engine Results Page) ranking. Video is the easiest way to make people stay. In 2013, Moz released their most recent Search Engine Ranking Factors – a comprehensive look at what makes pages rank well. The #1 SEO factor? Page Authority. 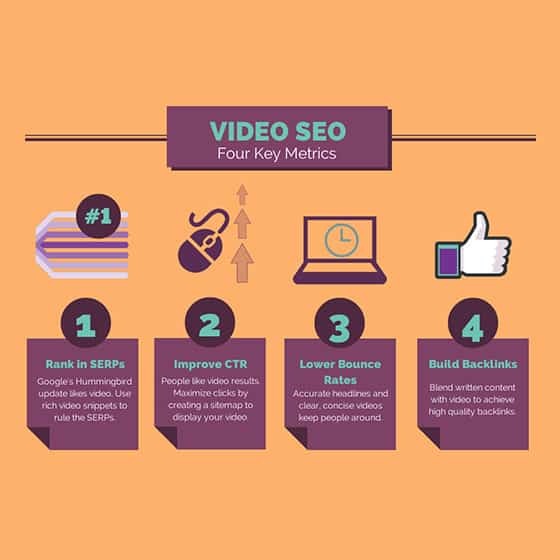 Video keeps viewers on your site longer and gives your pages more Page Authority, the #1 SEO factor. But That’s Only The Beginning – Read This Blog About Video and SEO From Shareaholic, located in Boston. Boost engagement and traffic. Shareaholic powers digital marketing. Today, we take blended search results – video, text, PDF, blogs, and images – for granted, but just a few years ago people used to have to dig for video online. I know, it sounds barbaric. But what’s more shocking is that here we are, seven years after blended results changed the way people search, and most marketers still haven’t realized how important video is for SEO. Eric Sui at Entrepeneur.com describes the shift in search results: “Google now cares less about whether you’ve optimized each individual page on your site to a particular keyword and more about whether your page’s content answers the question presented by the search user. Moz released their most recent Search Engine Ranking Factors – a comprehensive look at what makes pages rank well. The #1 SEO factor? About the author: Shawn Forno is the Content Manager of IdeaRocket, a NYC based animation studio.